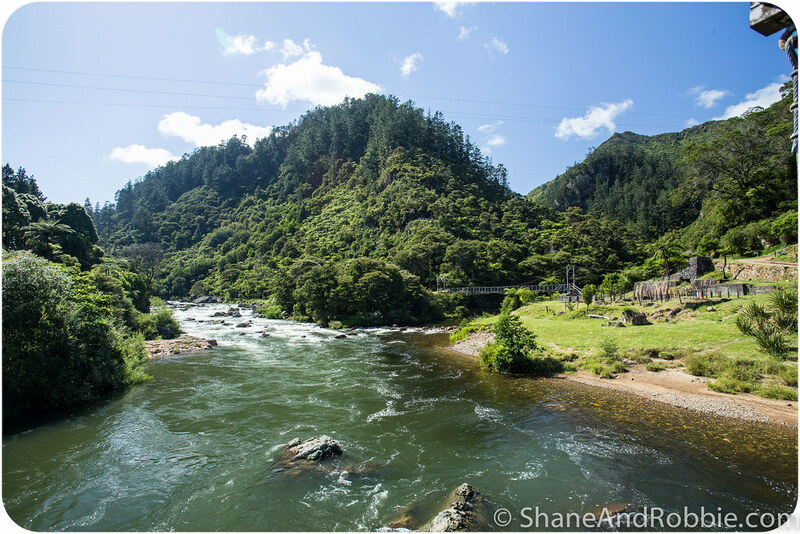 The Karangahake Gorge was formed by the Ohinemuri River carving its way through the Kaimai Ranges. 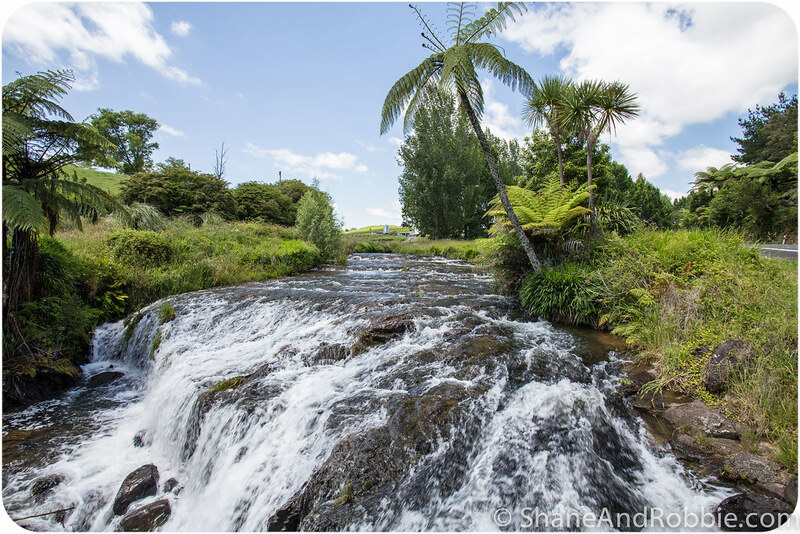 This steep-sided canyon is about an hour inland from Tauranga and was our destination for today’s excursion. 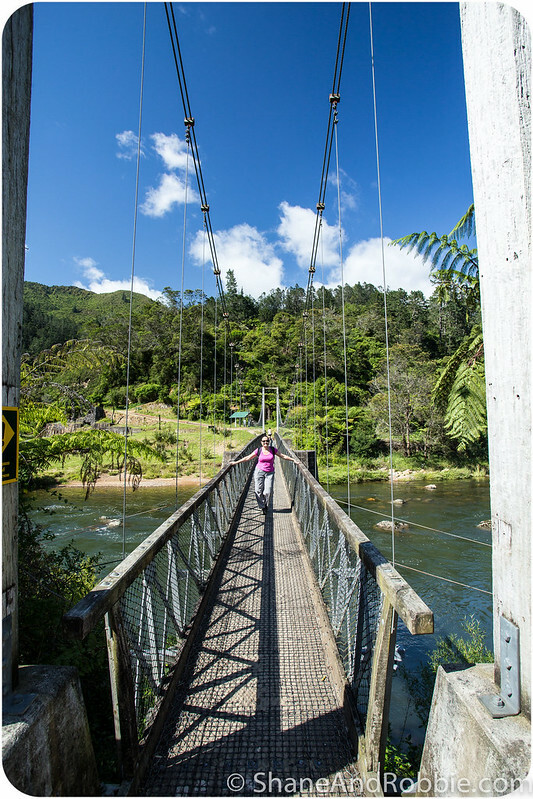 Far from the coastal splendour of the Bay of Plenty, the Kaimai Ranges and Karangahake Gorge provide their own kind of special attraction. The lush forest and undulating landscape are spectacular – especially under brilliant summer sunshine like we had today! 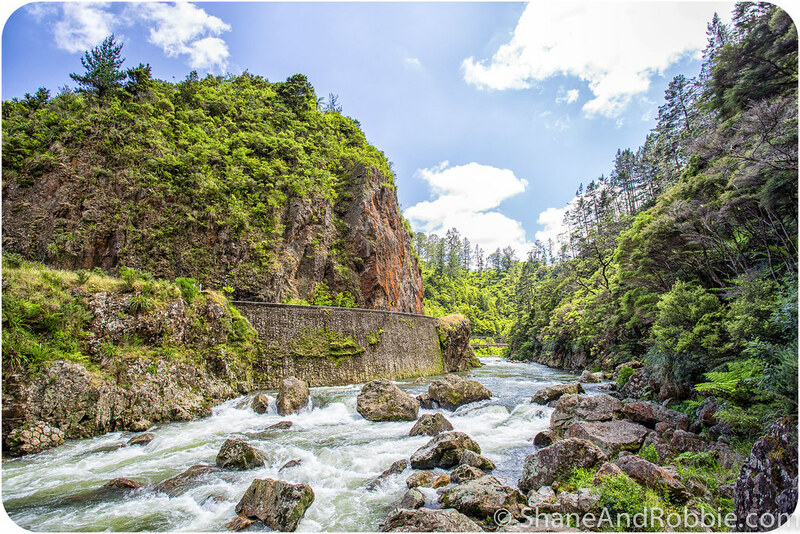 We drove out into the ranges to go hiking along the Karangahake Gorge Walkway. 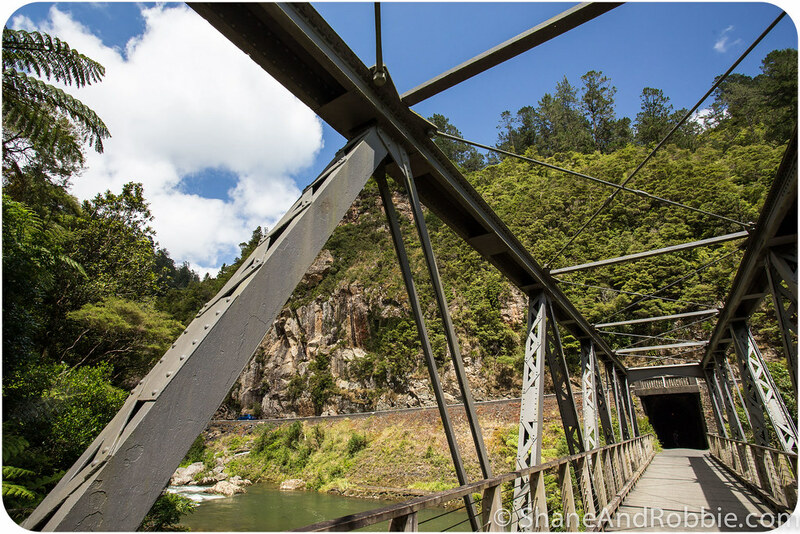 This hiking trail follows the old railway line that used to link the Karangahake gold mine to the town of Paeroa. 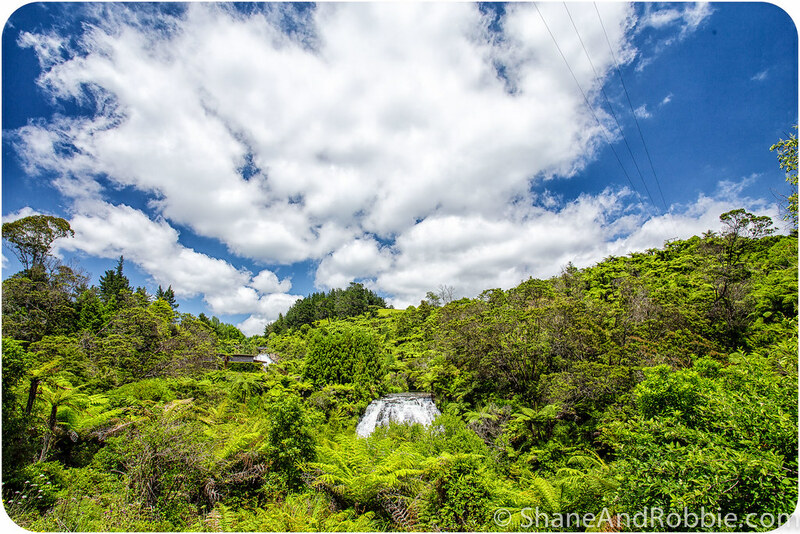 The hiking trail runs alongside the fast-flowing Ohinemuri River, past rapids, waterfalls, and epic scenic vistas. 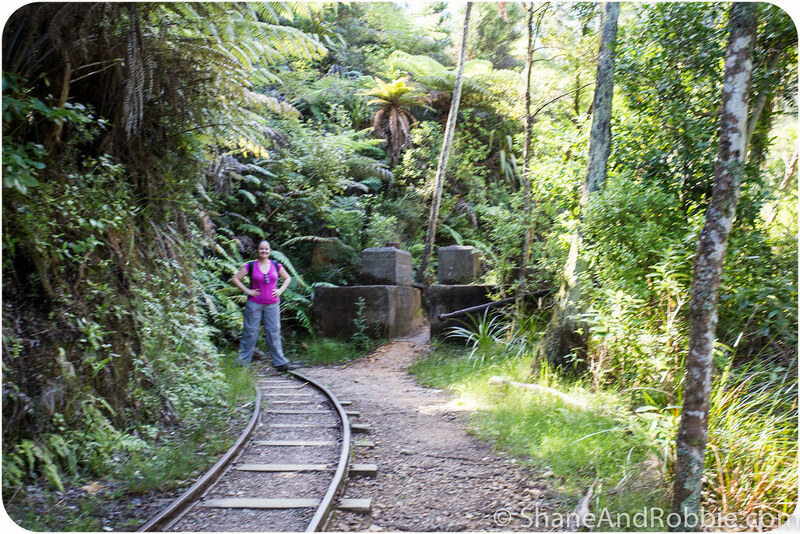 Following the old railway line as it does, the hiking trail took us through old railway tunnels, over old rail bridges and along disused railway tracks. 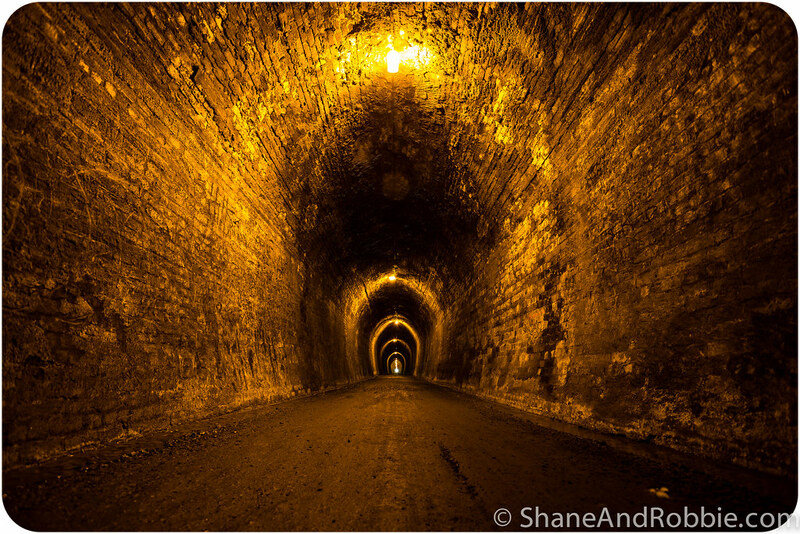 The Karangahake gold mine one of the busiest and most lucrative gold-strikes in New Zealand. 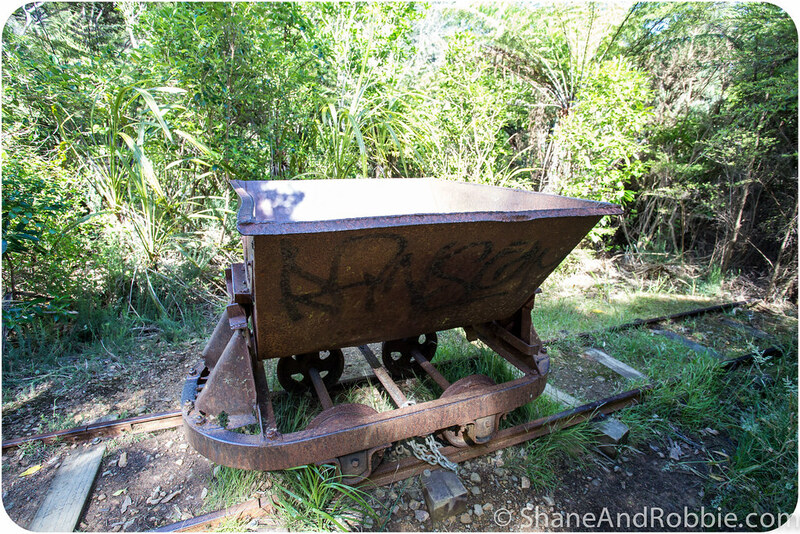 It ceased operation in the 1950s after almost a century of operation; remnants of the mining machinery and infrastructure were peppered all along the hiking trail. 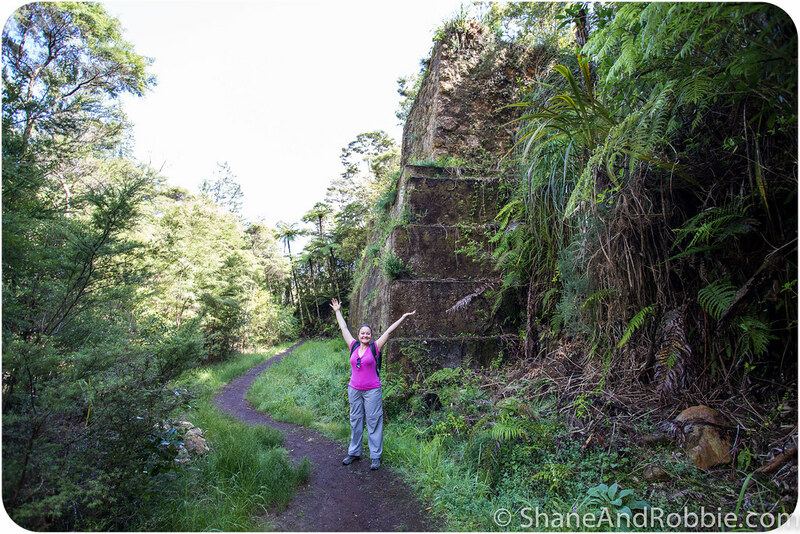 We saw the ruins of a few of the old stamping batteries during the hike. These huge machines were used to crush the gold-laced rock excavated in the area. 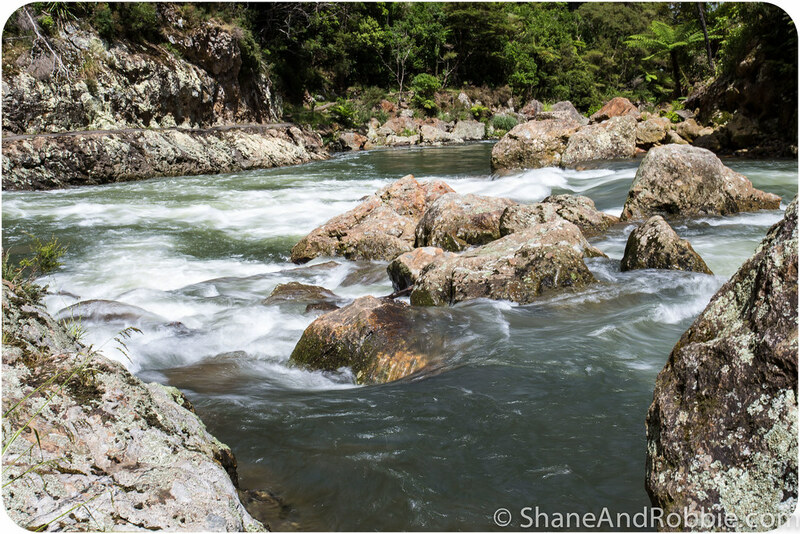 Harnessing the power of the Ohinemuri River, they smashed rock day and night. Given how peaceful and serene it was in the gorge today, it was hard to imagine how noisy that must have been! We enjoyed a great day of hiking in the gorge, listening to the birds in the forest and basking in the gloriously warm sunshine. 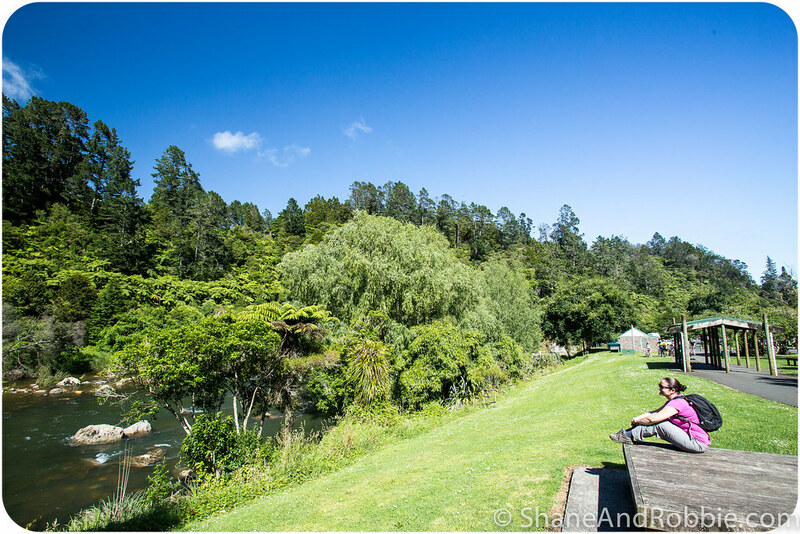 We definitely give Karangahake Gorge the thumbs up!